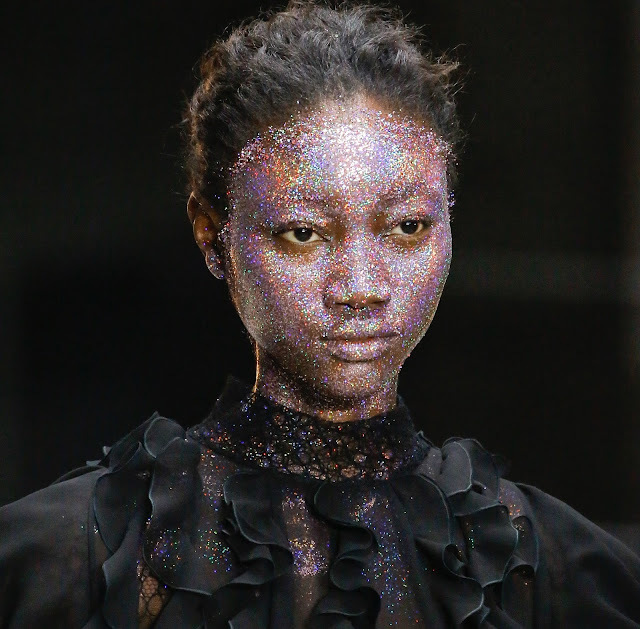 On the runway for Spring/Summer 2018, we saw a lot of Glitter and not only for fashion but beauty as well. While glitter is nothing new when it comes to make-up & nails, we are seeing it all over the body and hair. No matter what, beauty brands are capitalizing off of the detail by creating more color options and products to give you different ways to take on this sparkly trend. Whether the glitter is on your clothes or make-up, the sparkling effect can add a playful appeal to your look. However I know a lot of people who dislike wearing glitter because it can be hard to come off. Oil is the best route for that. Continue below to check out & shop a few glitter beauty options and a tip on how to use coconut oil to remove it. What's your take on the 'Glitter Effect'? Glitter can something be tricky to use – but thankfully glitter kits have come to our rescue! Most of them come with stencils, applicators and glue so that you can create new designs with ease – winning! You can also create your own glitter stamps out of makeup sponges – cut the design you would like out of the sponge and use it to press on perfectly. You can get the Pat McGrath Labs Lust 004 Lip Kit at NET-A-PORTER. The trick is to combine your favourite matte lipstick with a glitter glaze – really, it’s that easy! For a long lasting result, apply a lip liner followed by the matte lip color of your choice. Then, slick on a sparkly lip gloss in the same or, if you’re feeling cheeky, apply a contrasting glitter color. Alternatively, pat on your conventional glitter combined with a lip sealer to make it stay. 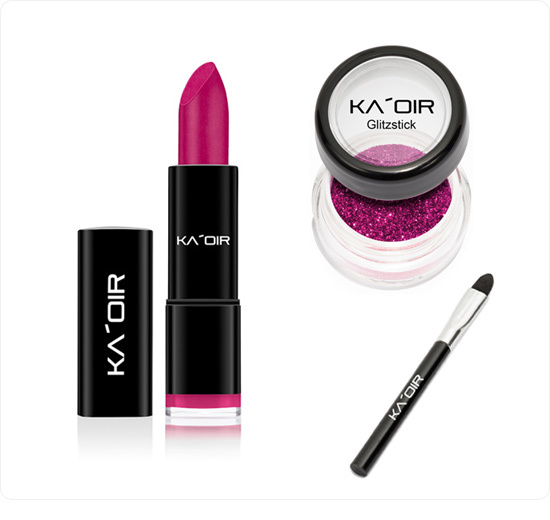 You can try the KA'OIR 'GlitzStick Package'. Turning your finishing spray into a glow spray is a savvy way to shimmer! Simply pour a liberal amount of fine powder, highlighter or shimmer into your finishing spray and shake it up! Spritz over key areas – face, collarbone and legs (if you’re braving no tights!). It takes 30 seconds and no sticky hands –yas! 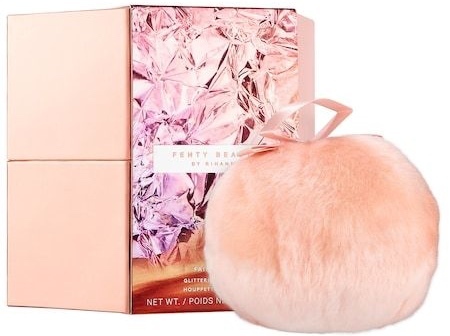 You can try the FENTY BEAUTY 'FAIRY BOMB'. One reason that really puts people off from using glitter is having to get it all off before bed. Not to despair! Follow these hacks to easily remove the sparkle without losing your own: Dab the area with sellotape to remove most of it without getting it all over your sink. Then use an oil cleanser and cotton pad to swipe away the rest. You can use COCONUT OIL. Don’t use normal makeup remover – it will actually make it stick even more!